Ohhhh my this is gooood! I am not really a pork lover, although I do love bacon. However, more often than not, I would rather go for beef or chicken than pork. But as they say, there is always an exception to every rule! I just love this pork dish! 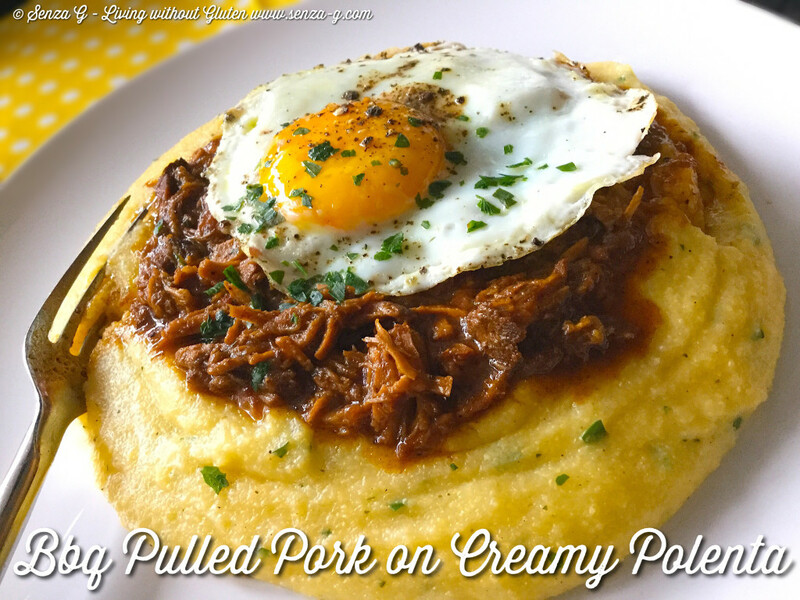 Delicious in a bun, as it is usually served, but it is also great on creamy polenta with a fried egg on top! Heaven! 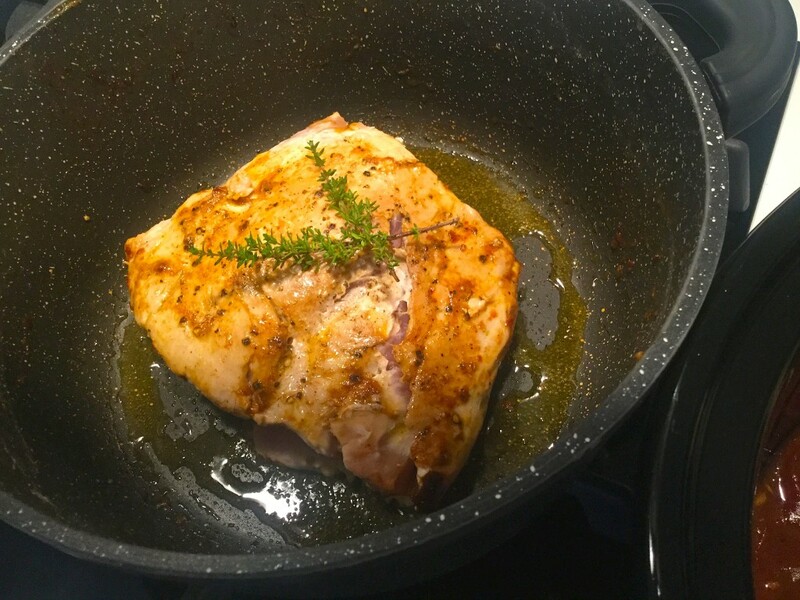 In a large pan, sear the pork shoulder on all sides in a little olive oil. Remove and set aside. Saute the chopped onion until translucent and then add about half cup red wine, a tbsp tomato puree and about a quarter cup brown sugar. Leave to cook on a very low flame for some minutes so it caramelizes slightly. Add the vinegar and the garlic and cook for a couple minutes. Start adding the spices, the ground coriander the cumin, turmeric, smoked paprika (or sweet paprika with a tsp of liquid smoke) the chilli powder and the mixed spice. Add a little stock so it will not dry up, about half cup. Add also the herbs, the fresh or dried thyme and bay leaves and about a tbsp of Worchestershire Sauce. Season with salt and pepper. Finally, add about half a cup of tomato ketchup and also 2 tablespoons of honey. If it is too thick, thin it down with a little stock but do not add too much. 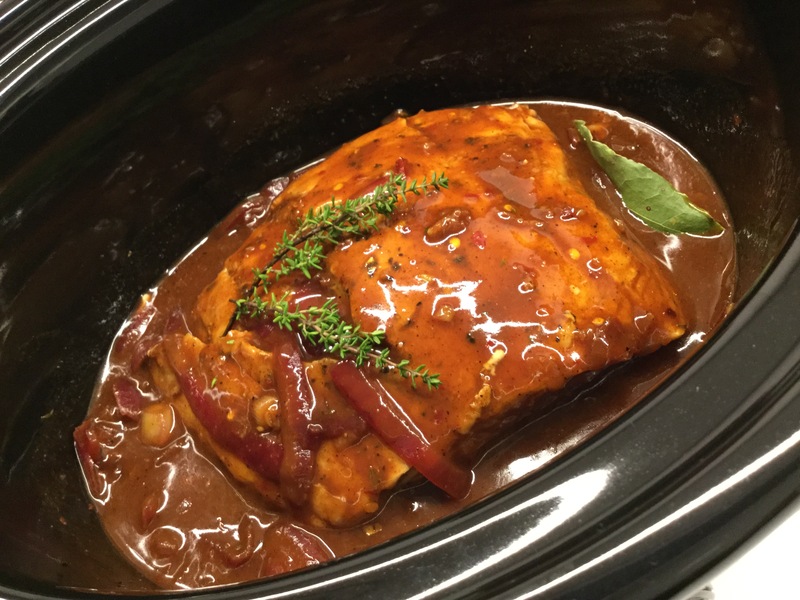 Place the pork shoulder in a crockpot and pour in the sauce. Cook on low until when tested the pork shreds quickly. This can take up to 8 hours. Occasionally turn the pork shoulder in the sauce. 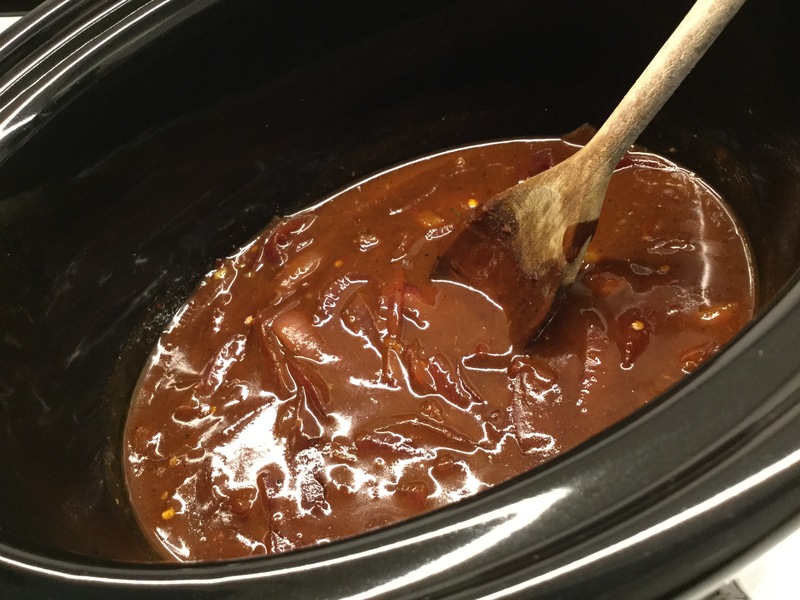 Once it is very tender, grab two forks and shred it, still inside the crockpot. Mix the shredded pork into the sauce. 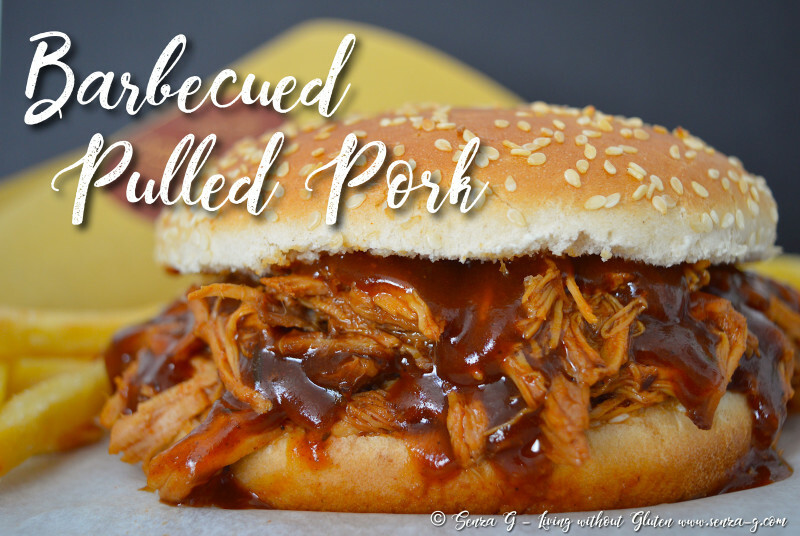 Your pulled pork is now ready!